Jamal Khashoggi, the Saudi journalist, who disappeared in the Saudi consulate in Istanbul last week is not quite the critic of the Saudi regime that the Western media says he is, writes As’ad AbuKhalil. October 15, 2018 “Information Clearing House“ – The disappearance of Jamal Khashoggi, the Saudi journalist, in the Saudi consulate in Istanbul last week has generated huge international publicity, but unsurprisingly, little in Saudi-controlled, Arab media. The Washington Post, for whom Khashoggi wrote, and other Western media, have kept the story alive, increasing the pressure on Riyadh to explain its role in the affair. But did he pursue those absolutes while working for Saudi princes? Khashoggi was a loyal member of the Saudi propaganda apparatus. There is no journalism allowed in the kingdom: there have been courageous Saudi women and men who attempted to crack the wall of rigid political conformity and were persecuted and punished for their views. Khashoggi was not among them. 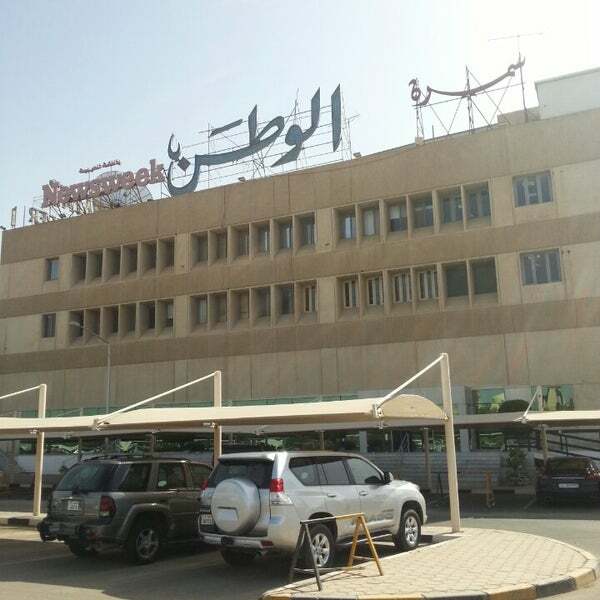 Some writers suffered while Khashoggi was their boss at Al-Watan newspaper. Khashoggi—contrary to what is being written—was never punished by the regime, except lightly two years ago, when Saudi Crown Prince Mohammed bin Salman (MbS) banned him from tweeting and writing for Al-Hayat, the London-based, pan-Arab newspaper owned by Saudi Prince Khalid bin Sultan. 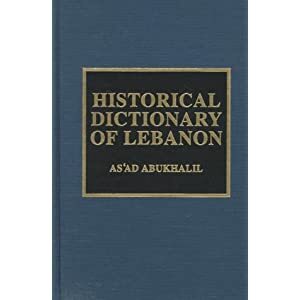 By historical contrast, Nasir As-Sa`id was a courageous secular Arab Nationalist writer who fled the kingdom in 1956 and settled in Cairo, and then Beirut. 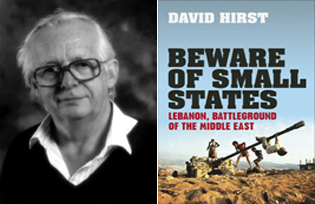 He authored a massive (though tabloid-like) volume about the history of the House of Saud. He was unrelenting in his attacks against the Saudi royal family. For this, the Saudi regime paid a corrupt PLO leader in Beirut (Abu Az-Za`im, tied to Jordanian intelligence) to get rid of As-Sa`id. 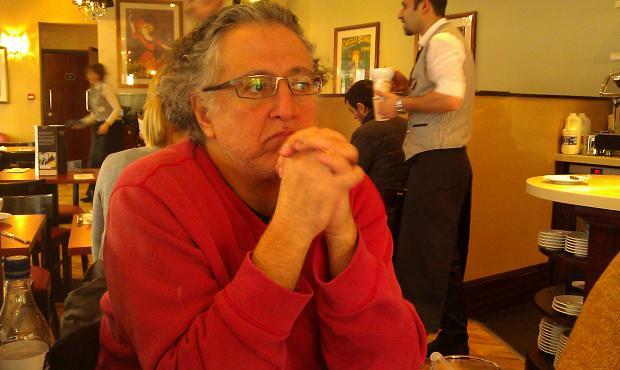 He kidnapped As-Sa`id from a crowded Beirut street in 1979 and delivered him to the Saudi embassy there. He was presumably tortured and killed (some say his body was tossed from a plane over the “empty quarter” desert in Saudi Arabia). Such is the track record of the regime. Khashoggi was an ambitious young reporter who knew that to rise in Saudi journalism you don’t need professionalism, courage, or ethics. In Saudi Arabia, you need to attach yourself to the right prince. 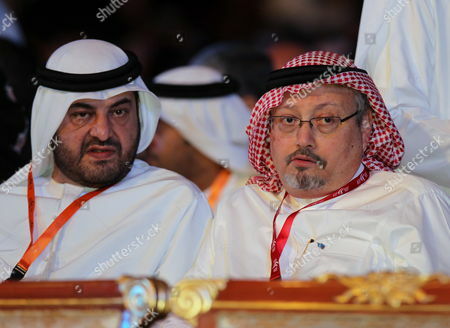 Early on, Khashoggi became close to two of them: Prince Turki Al-Faysal (who headed Saudi intelligence) and his brother, Prince Khalid Al-Faysal, who owned Al-Watan (The Motherland) where Khashoggi had his first (Arabic) editing job. Khashoggi distinguished himself with an eagerness to please and an uncanny ability to adjust his views to those of the prevailing government. In the era of anti-Communism and the promotion of fanatical jihad in Afghanistan and elsewhere, Khashoggi was a true believer. He fought with Osama bin Laden and promoted the cause of the Mujahideen. The Washington Post‘s David Ignatius and others want to embellish this by implying that he was an “embedded” reporter—as if bin Laden’s army would invite independent journalists to report on their war efforts. 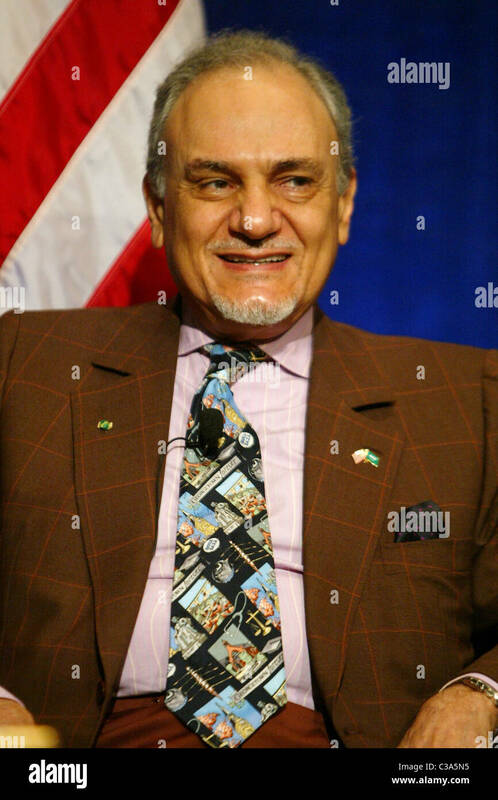 The entire project of covering the Afghan Mujahideen and promoting them in the Saudi press was the work of the chief of Saudi intelligence, Prince Turki, Khashoggi’s principal patron-prince. Western media coverage of Khashoggi’s career (by people who don’t know Arabic) presents a picture far from reality. They portray a courageous investigative journalist upsetting the Saudi regime. Nothing is further from the truth: there is no journalism in Saudi Arabia; there is only crude and naked propaganda. Editors are trusted individuals who have demonstrated long-time loyalty. 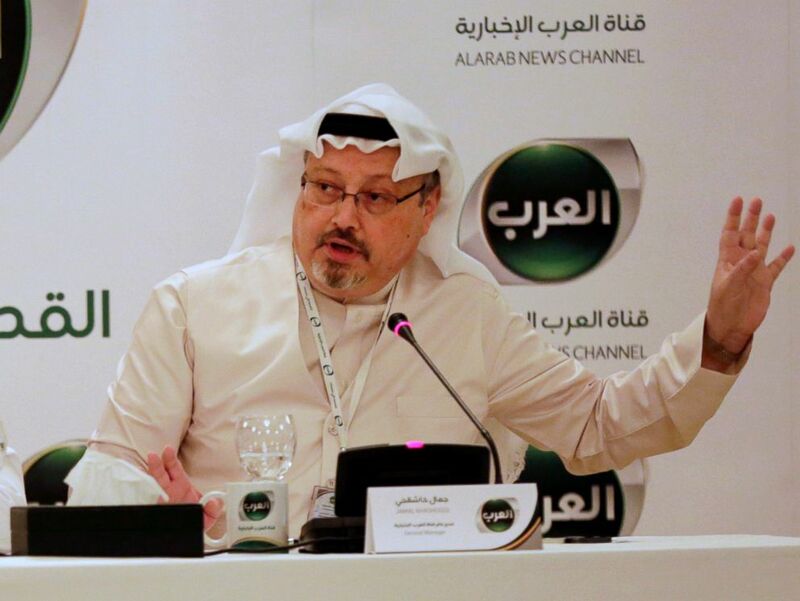 Khashoggi admitted to an Arab reporter last year in an interview from Istanbul that in Saudi Arabia he had been both editor and censor. Editors of Saudi regime papers (mouthpieces of princes and kings) enforce government rules and eliminate objectionable material. Khashoggi never spoke out for Saudis in distress. He ran into trouble in two stints as Al-Watan editor because of articles he published by other writers, not by himself, that were mildly critical of the conservative religious establishment—which he at times supported. He was relocated to another government media job— to shield him from the religious authorities. Khashoggi was the go-to man for Western journalists covering the kingdom, appointed to do so by the regime. He may have been pleasant in conversation with reporters but he never questioned the royal legitimacy. And that goes for his brief one-year stint in Washington writing for the Post. Khashoggi was a reactionary: he supported all monarchies and sultanates in the region and contended they were “reformable.” To him, only the secular republics, in tense relations with the Saudis, such as Iraq, Syria and Libya, defied reform and needed to be overthrown. He favored Islamization of Arab politics along Muslim Brotherhood lines. Khashoggi’s vision was an “Arab uprising” led by the Saudi regime. In his Arabic writings he backed MbS’s “reforms” and even his “war on corruption,” derided in the region and beyond. He thought that MbS’s arrests of the princes in the Ritz were legitimate (though he mildly criticized them in a Post column) even as his last sponsoring prince, Al-Walid bin Talal, was locked up in the luxury hotel. Khashoggi even wanted to be an advisor to MbS, who did not trust him and turned him down. Writing in the Post (with an Arabic version) Khashoggi came across as a liberal Democrat favoring democracy and reform. But he didn’t challenge Saudi regime legitimacy or Western Mideast policy. Mainstream journalists were enamored with him. They saw him as an agreeable Arab who didn’t criticize their coverage of the region, but praised it, considering the mainstream U.S. press the epitome of professional journalism. Khashoggi was essentially a token Arab writing for a paper with a regrettable record of misrepresenting Arabs. In Arabic, his Islamist sympathies with Turkey and the Muslim Brotherhood (Ikhwan) were unmistakable. Forgotten or little known in the West is that during the Cold War the Saudis sponsored, funded, and nurtured the Muslim Brotherhood as a weapon against the progressive, secular camp led by Egypt’s Gamal Abdel Nasser. Ikhwan controlled the Saudi educational system raising Saudi students to admire the Brotherhood. But Sep. 11 changed the Saudi calculus: the rulers wanted a scapegoat for their role in sponsoring Islamist fanaticism and the Ikhwan was the perfect target. That made Khashoggi suspect too. Recent articles in the Saudi press hinted that the regime might move against him.He had lost his patrons but the notion that Khashoggi was about to launch an Arab opposition party was not credible. The real crime was that Khashoggi was backed alone by Ikhwan supporters, namely the Qatari regime and the Turkish government. A writer in Okaz, a daily in Jeddah, accused him of meeting with the Emir of Qatar at the Four Seasons Hotel in New York and of having ties to “regional and international intelligence services.” If true it may have sealed his fate. Qatar is now the number one enemy of the Saudi regime—arguably worse than Iran. Khashoggi was treated as a defector and one isn’t allowed to defect from the Saudi Establishment. The last senior defections were back in 1962, when Prince Talal and Prince Badr joined Nasser’s Arab nationalist movement in Egypt. Khashoggi had to be punished in a way that would send shivers down the spine of other would-be defectors.